Being a “Nicholas” or “Boy” Bishop for the church is a bit like being “mayor-for-a-day” with a full staff of young officials. Choristers would choose one of their number to be the Boy Bishop, who would act the part of a bishop from St. Nicholas Day on December 6th until Holy Innocent Day, December 28th. After the election, the boy was dressed in full bishop’s robes with mitre and crozier and, attended by comrades dressed as priests, made a circuit of the town blessing the people. The chosen boy and his colleagues would typically take possession of the cathedral and would have performed all the ceremonies and offices, except Mass. 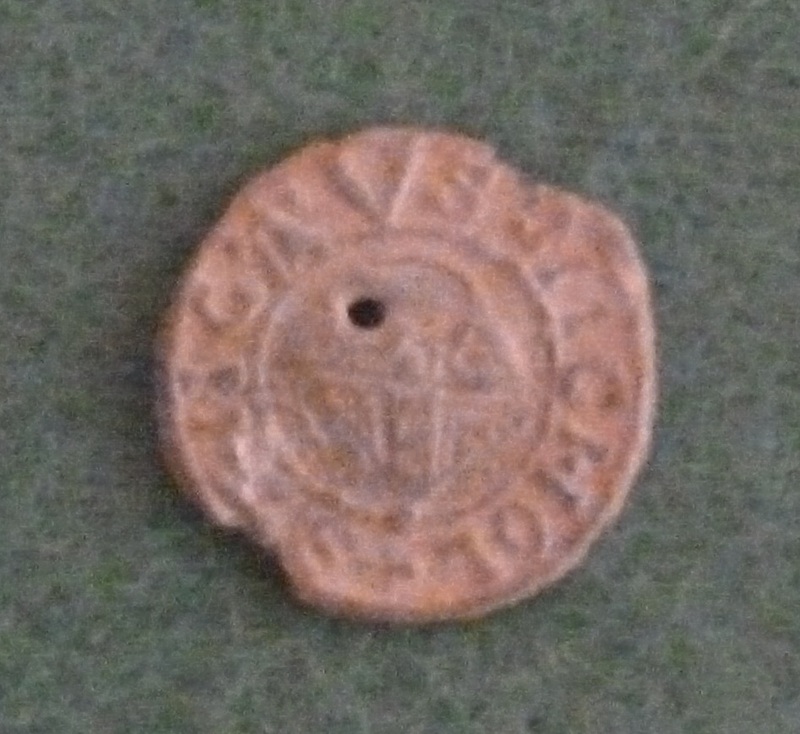 This token is an example of the money which was struck for the Boy Bishop, known as “St. Nicholas’ pence”. It is thought to have only been made in Bury St. Edmunds, Suffolk, and a number of these tokens were found in the church of St. Mary’s in the town during the removal of the priests’ stalls in 1842.